Gold Medal Park is 7.5 acres carved out of the resurging energy of the riverfront Mill District in Minneapolis. Its distinctive design is intended to nurture contemplative moments and artistic awareness. The focal point of the park is the sculptural observation mound at the center of a spiral walkway, rising out of a green lawn with over 200 mature trees. A place for community gathering, the park offers stunning views of the cityscape and during evening hours, benches lit with blue LED lights add an ephemeral quality to the park experience. Privately created and funded by the McGuire family, the park is now supported financially and cared for by the Gold Medal Park Conservancy. 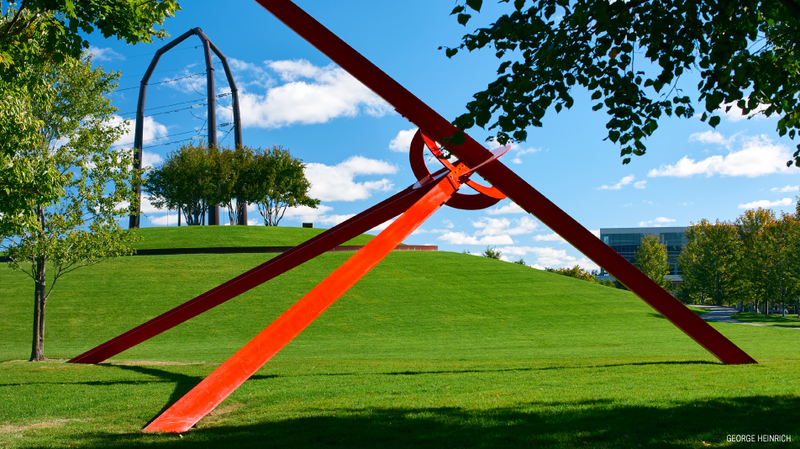 The mission of the Conservancy’s board of directors is to maintain the character and quality of the park and enhance its contribution to the health and well-being of the rapidly growing arts and residential community that surrounds the downtown Minneapolis riverfront.